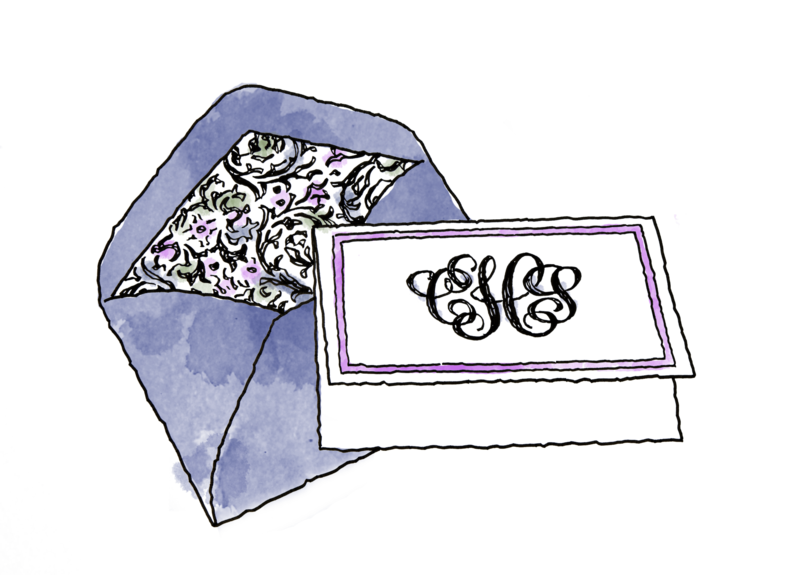 Whimsical boxed stationery, party invitations in every color, thank you notes, professional papers, and much more. Be sure to ask about our in-house personalization and printing available on a selection of our papers. Custom stationery and invitations is our forte. We have a vast assortment and the finest options available in the region.